This project came to us to have some attention to rust around the sill and door step on the right hand side of the vehicle. An over sill had previously been fitted over the original outer sill and this had trapped a great deal of water leading to the over sill and the inner sill slowly rotting away. 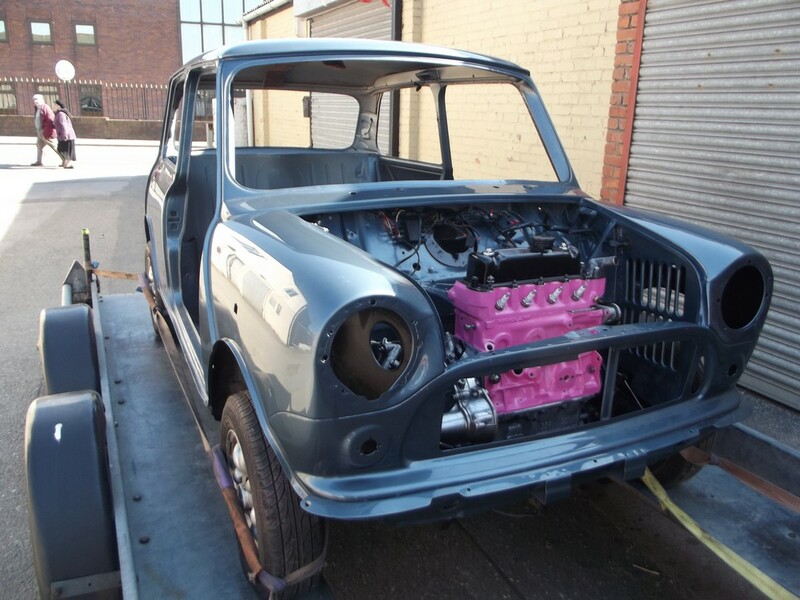 Hannah and Lee had been restoring their Mini by themselves when a house move meant that they would be unable to complete the project. 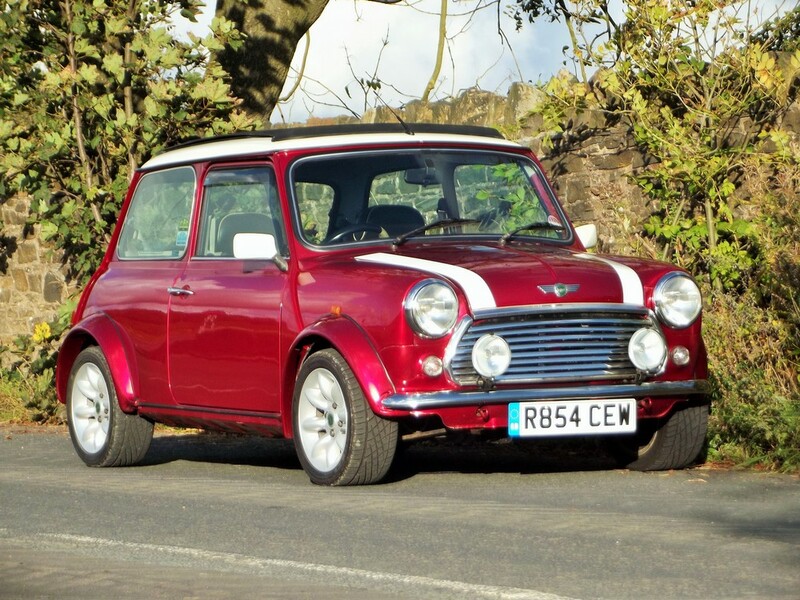 Jack opted for a subtle upgrade when we restored his 1978 Mini Clubman 1100 Saloon. David contacted us after he followed up recommendations given to him by users of The Mini Forum. 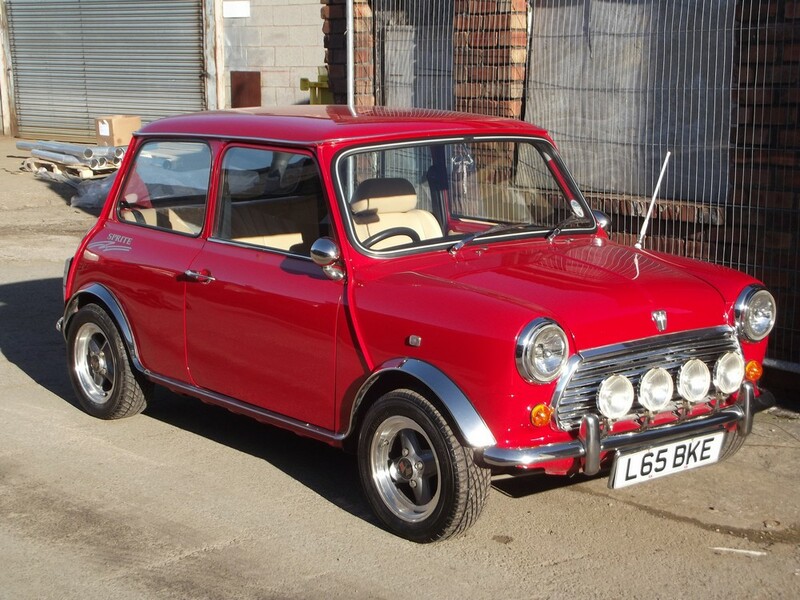 We were contacted by Lisa & Eric after they had unfortunately been involved in an accident with their Mini. 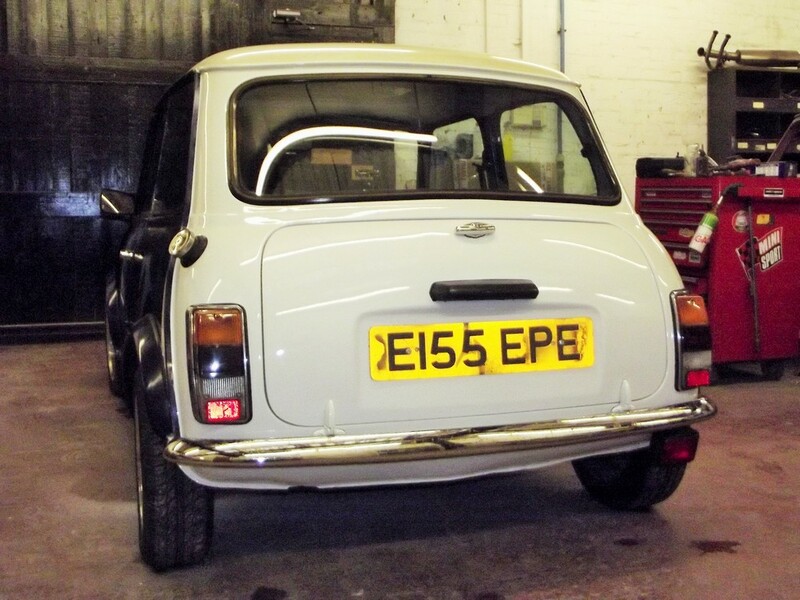 Richard brought his Mini Sprite in for a minor restoration to the bodywork. 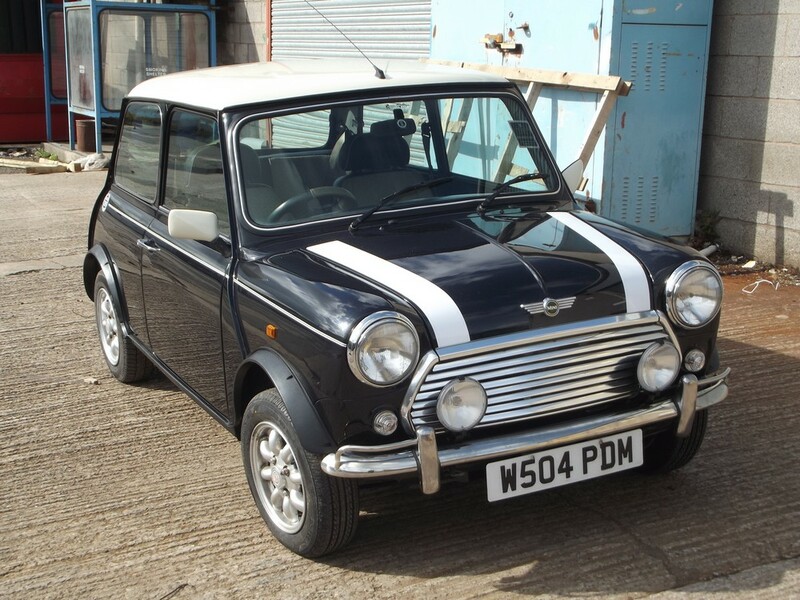 As part of a restoration or as an individual job The Mini Restoration Company are able to restore your Mini Doors back to an excellent standard. 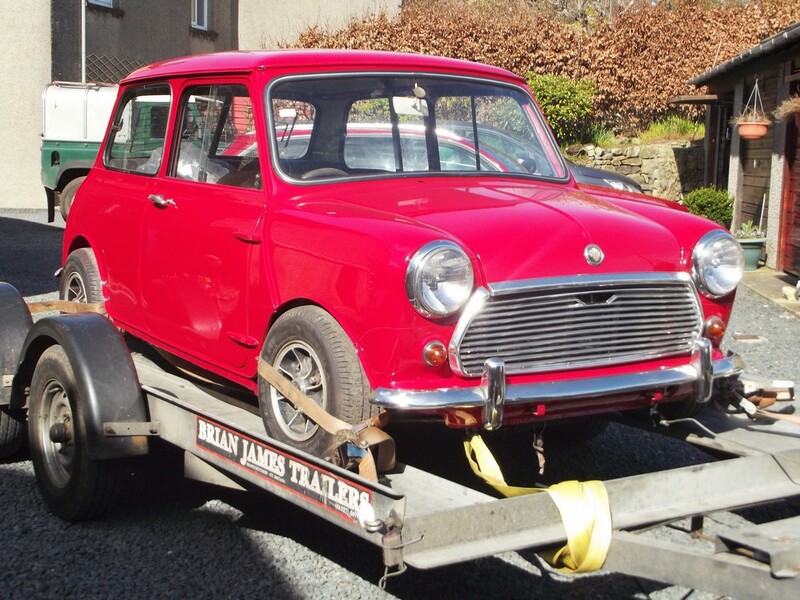 Jude contacted us after her Mini had received a rear end shunt. 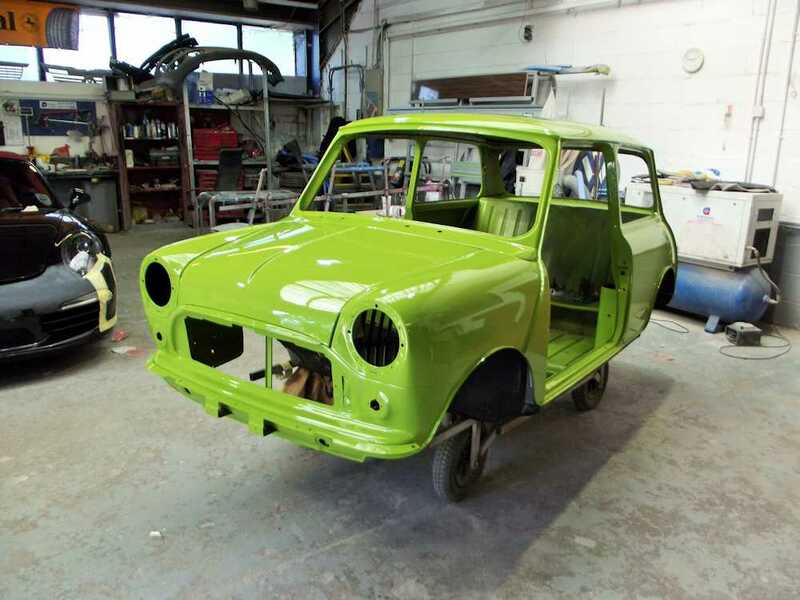 Nick contacted us to complete the restoration work to the body of his 1968 MkII Mini. Rob presented us with a complete bare shell which he had stripped down by himself. Liz’s project came to us for attention to rusty areas around the body and under the sills. We also had a new hood made and fitted to the Webasto sun roof while also replacing the black leather panelling in the driver’s seat. HOY 93K is an Austin Morris Mini 850 first registered in November 1971. It was new to the Royal Air Force in the same year and was generally used by Squadron Commanders to travel around the air base where it was allocated. It would have originally carried the RAF Royal Court of Arms on both doors.